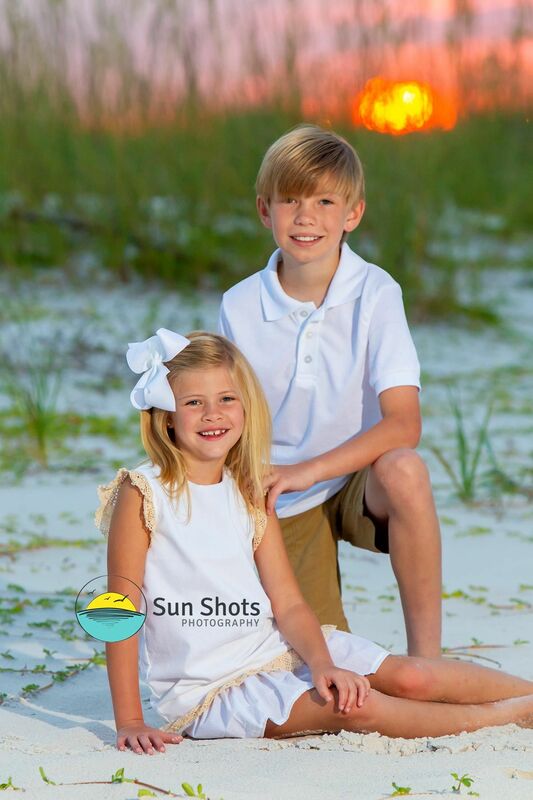 Kids portraits on the beach are some of our favorite sessions and we are the premier professional photographers in Orange Beach. Little guys and gals have a way of showing their personality when the camera points to them. Some might start out shy, or others might hit the ground running, but all eventually succumb to the attention of the lens and let their little light's shine. It is so much fun watching little ones turn it on. Watching them has a way of connecting us to our own childhood's memories. It is easy to see that the apple doesn't fall very far from the tree in every shape form and fashion. Mom's are always like, he is just like his father, and dads are like, she gets it from her momma. Either way they are ours, and we must own them without doubt. Family ties us together and our photography helps our clients remember every little second into the future. We are proud to offer family photography services that capture the true you. We are the old school photographer you have heard so much about. We will help you remember every little detail about your family beach vacation in the future, not just a disc of images that end up in the drawer with the rest. Sun Shots is all about art, and we intend on filling your walls as opposed to your news feed. Sure we can help with that too, but our main intention is to finally get a piece of art hanging in your home to represents you and yours. If you do nothing more, do make sure you have your kids portraits on the beach made. What will you remember? Well, every little detail if you call us now to find out more: (251) 968-2119 or check out our website at www.sun-shots.com for more information. Call us today!